A number of external hard drives will encrypt data regardless of whether or not the user selects an encryption password, this has significant implications for data recovery in the event of hardware failure. Within most external hard drives there is a perfectly standard physical hard drive, of the type you would find in any computer or laptop. In addition there is typically a printed circuit board which converts the data coming from and going to the hard drive into a form that a USB port can use. On that printed circuit board there is a chip or integrated circuit which is responsible for carrying out this conversion. In most cases it will convert the hard drive’s native S-ATA data connection to USB. However on some models of external hard drive this chip will also carry out on-the-fly encryption as well as this S-ATA to USB conversion. 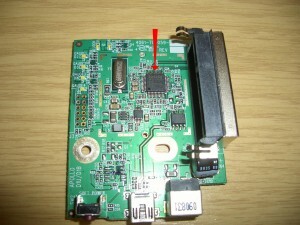 A Typical printed circuit board from an external hard drive enclosure, the red arrow indicates the chip that carries out the encryption. Typically, the first time that this external hard drive is plugged into your computer (you will usually also have to install some additional software) you will be asked if you want to supply an encryption password. Naturally if you do this it will be used to encrypt the data on the external hard drive. However even if you choose not to enter a password your data will still be encrypted, essentially using a “default” password held by the S-ATA to USB conversion chip. What Will This Mean for Data Recovery? This may not seem like a very important matter, and as long as your external hard drive remains operational you’re right, it isn’t. However should you experience problems with accessing the data on your external drive then it becomes very important indeed. Let’s imagine that an electrical problem damages the printed circuit board within the external hard drive enclosure on which the S-ATA to USB chip is mounted. if it were the case that this chip did not include the encryption function but simply carried out the S-ATA to USB conversion then it would be possible simply to remove the physical hard drive from within the external enclosure, connect it directly to a computer via its S-ATA connection and thus retrieve your data. However in this instance because the data was encrypted by this chip you can of course still connect the physical hard drive to your computer but what will be accessed will be encrypted data, which essentially means no access to your data at all. Remember that the whole point of encryption is to ensure that no one can ever access that data unless they know the password. Your choice therefore is either to accept that your data is gone or the printed circuit board needs to be repaired. 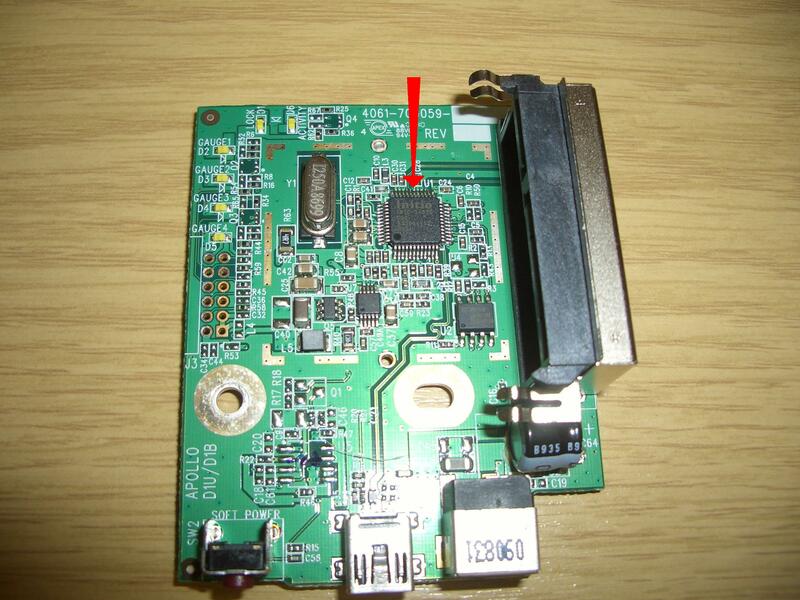 There is potentially a third possibility which is to acquire exactly the same printed circuit board from another external hard drive enclosure and hope that the “default” encryption password is the same for the S-ATA to USB chip mounted on that printed circuit board as it was for the original damaged one. Previous post: Should I Use RAID 0 to Store My Documents? "I lost a drive on site and then lost my backup. It was 2 years of time-lapse photography gone. Tierra salvaged my backup, with persistence that I can't have imagined. I now have a full record of my time-lapse and will be eternally grateful." "Meant to say, all received. Great job. Many thanks"